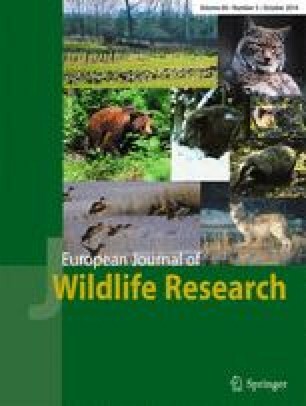 Rapid recolonisation by the European red fox: how effective are uncoordinated and isolated control programs? Uncoordinated and isolated control programs are often used by land managers, property owners and recreational hunters to control numbers and reduce the impacts of European red foxes (Vulpes vulpes). However, decades of such attempts to eradicate this significant agricultural and biodiversity pest in many countries have failed. We investigated the effectiveness of an uncoordinated and isolated shooting program to determine if it caused any change in red fox population density. We also determined whether shooting is more cost effective than poison baiting for fox control. First, we estimated the density of foxes on an agricultural study property using distance sampling and rates of bait uptake before and after a control program. Second, we estimated the costs associated with undertaking the control program and compared it to the estimated costs of undertaking poison baiting. Prior to control, we estimated a density of 4.18 foxes per square kilometre. After the control exercise, which removed 47 individuals in 12 nights, we estimated a density of 3.26 foxes per square kilometre. Our results provide evidence that one-off control programs are not effective in greatly reducing red fox density, even if the control effort is intensive. Where large-scale control programs cannot be coordinated, isolated programs should therefore involve follow-up campaigns to reduce population recovery. On a local scale, combinations of shooting and baiting may also provide maximum control impact at minimal cost. This study was funded by the University of Sydney. Much assistance was given by the managers on Arthursleigh, particularly Steve Burgun and Brian Farrell. Samantha Vine and Anthony English were most instrumental in setting up the project and providing ongoing support. Alistair Tait assisted with and provided his vehicle for the control exercise and tracking, for which we are most grateful.